These past weeks, there’s this social media trend called ‘advanced mag-isip’ wherein people share amusing anecdotes about folks who think ahead and second guess what someone else wants to do, so you end up ‘winning’. For example, there was this teacher who announced that there would be an exam even before they had any lessons because he is ‘advanced mag-isip’ and he knows his students are also following that trend. LOL. But there’s this one guy who earned much laughter (and anger!) on Facebook for his super ‘advanced mag-isip’ moves. He learned that a friend from college is getting married. Thinking he’s invited even if they hadn’t even talked or met for many years, he was excited to attend the special occasion – and even told his girlfriend they were attending. The only problem here (and it’s a really big problem, actually) is that he wasn’t even invited to the occasion! Thus, he doesn’t also have the right to bring his girlfriend along. Oooops. This super ‘advanced mag-isip’ guy then messaged his friend that he and his girlfriend were attending the wedding. 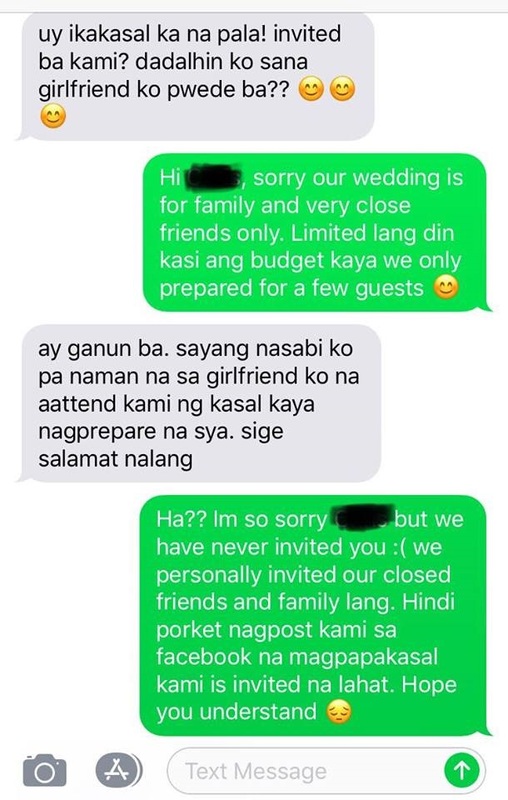 Rather hurt, perhaps, that he wasn’t invited, he told his friend that his girlfriend was actually expecting to attend the event and was already preparing for it! Project Vanity Events shared the screenshot on Facebook, after a client sent it to them. 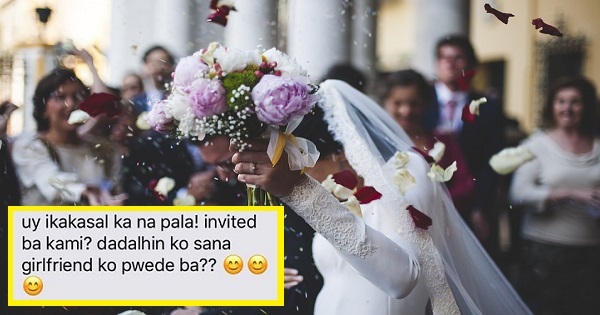 Dear guests, please wait for the couple to personally invite you to their wedding and not voluntarily confirm your presence specially if hindi naman kayo talaga ganun ka close. Couples work on a budget, hindi sila mag papa fiesta. Magpapakasal sila and this means they will be working on a certain budget to achieve their dream wedding. Kaya wag kang advance mag isip. Hindi ka pa nga iniimbita, nag bitbit ka pa. Lesson to all couples, be strict on your guestlist. If hindi nyo personally kilala, ekis agad. This is your wedding. Kayo dapat ang masusunod para everybody happy. Dont be afraid to say NO. Mas ok na ang magdecline now than to have more worries later. Netizens slammed the guy for putting his friend in a tight spot, especially because they weren’t even close friends now and hadn’t connected for years. Also, the bride and groom have the right to invite who they want to attend their wedding – and should not be blamed at all if you failed to make it to their guest list! 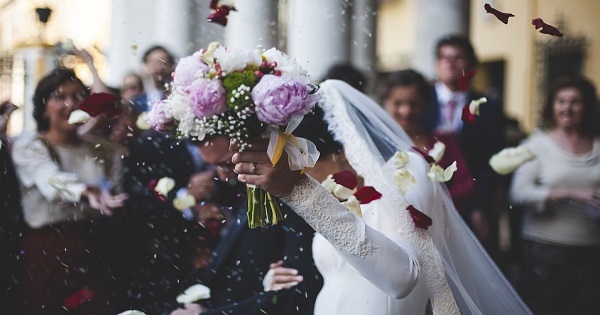 Thankfully, the would-be couple here didn’t feel pressured to add the guy and his girlfriend on the guest list, just because the girl was already preparing for the wedding her boyfriend wasn’t even invited to! After all, we meet a lot of friends over the years — you just can’t invite everyone to your wedding, right?